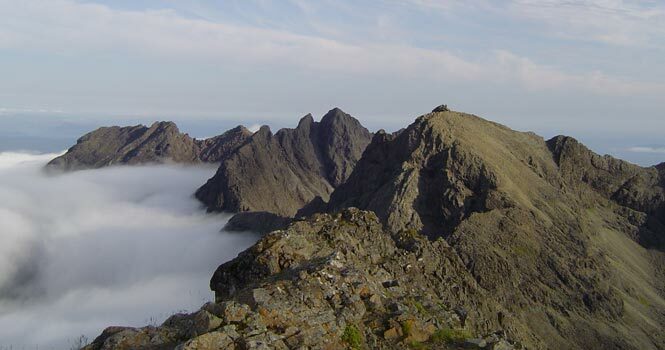 There are 12 Cuillin Munros, which are acknowledged as the hardest to attain. The Inaccessible Pinnacle is one of the most revered and is equally popular with climbers and adventurous visitors alike. Guiding is available for single days, dedicated courses or however many days you fancy! More details are available on pages in the Infocentre and What to expect. Please check the FAQ for answers to questions about “what if the weather is unsuitable?” etc. Contact us to ask for advice or to make a booking. If you want to explore the Cuillin safely for the first time or only have certain peaks left to compleat your Munros Round a single day of private guiding we are happy to help. We can give you plenty of advice on how to tackle the other peaks on your own or a good assessment of how many days it is likely to take with one of our Guides. 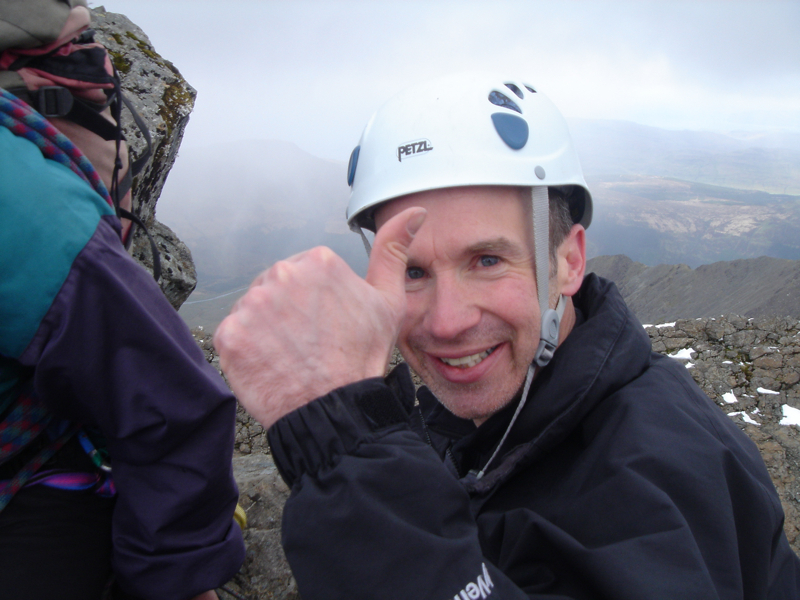 2 or 3-day Cuillin Munros. This is a popular option for first time visitors to the Cuillin & often used to enhance chances to climb the Inaccessible Pinnacle. We use our experience to interpret the forecast carefully and suggest an itinerary with the best day used for the Pinn. 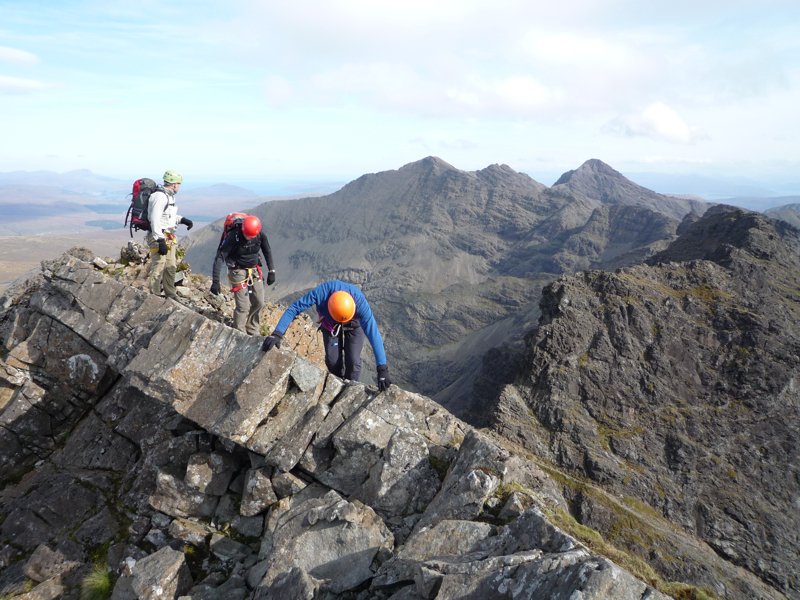 The other day is used to tackle some of the other tricky Cuillin peaks. Some clients opt for a rest day and splitting the guided days is not a problem at all. The 11 Cuillin Munros on the Main Ridge can be climbed in 4 days of reasonable length (7-10 hours) by fit hill-walkers in good weather conditions. We vary the itinerary to suit conditions but the Inaccessible Pinnacle is normally attempted on the day with the best forecast for the week. The course is physically hard work and the mountain will always dictate what is safe but our guides have an intimate knowledge of the peaks that strongly enhances chances of success. Many clients have tackled Blabheinn themselves but extra days of guiding are always available if you would like a guide to make this ascent too. The Inaccessible Pinnacle (commonly referred to as the In. Pinn.) sits like a dorsal fin atop Sgurr Dearg and overtops the mountain by some 8 metres. It is well known as the hardest of all Munros to climb which requires concentration and a strong nerve. 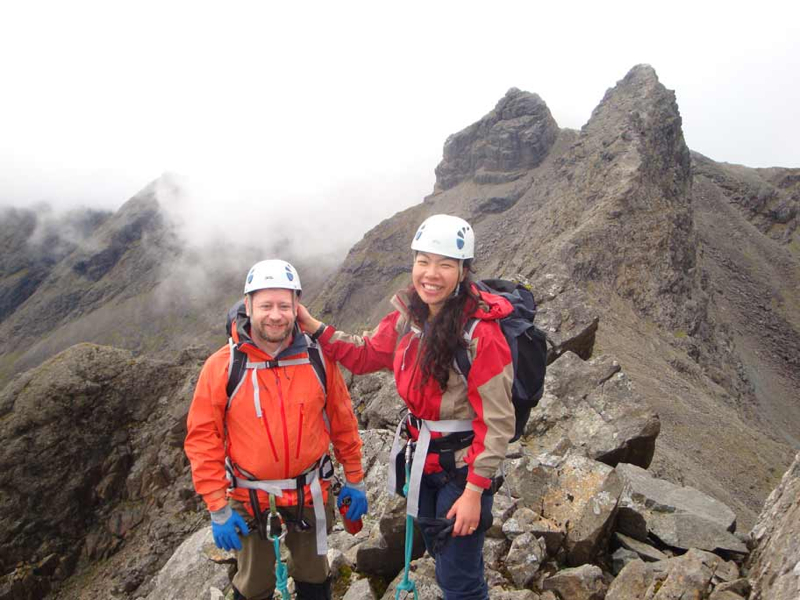 Skye Guides offer the expertise to lead clients to this unique summit. We appreciate that the Pinn. is a crucial peak for Munro baggers in order to keep the ambition to compleat the Munro’s list. We make every effort to advise clients on the best way to achieve their dream and also to make the climb a real highlight. The vast majority of our clients find the ascent to be a surprisingly pleasant experience. With simple instructions and skillful ropework we are used to safely leading clients with a vast array of fears to the summit. 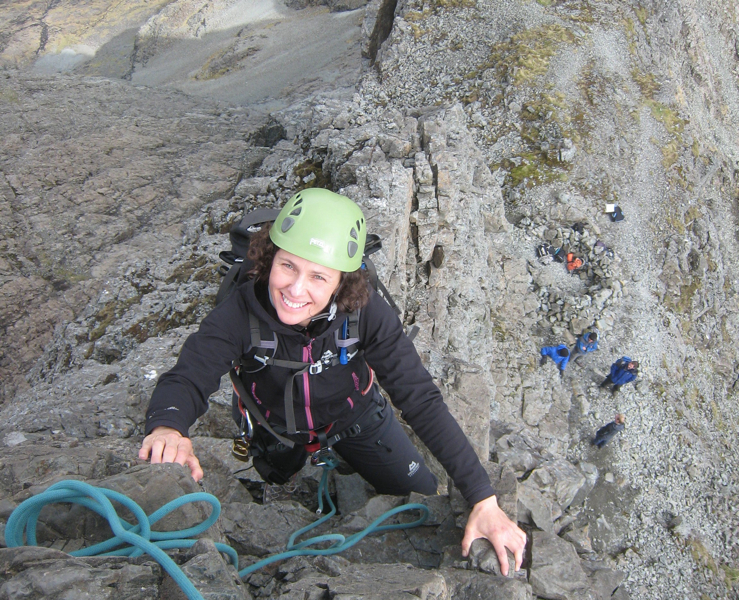 Find out more about Skye Guides on the In. Pinn.